Before delivering his opening statement to the Senate Judiciary Committee on Thursday, Judge Brett M. Kavanaugh assured us that only one other person had seen it. But it was as if it had been approved by President Trump himself. No, Kavanaugh didn’t go as far as Trump has by calling his female accusers “liars,” but he did take an unusually fiery, partisan posture against Democrats seeking to thwart his nomination. 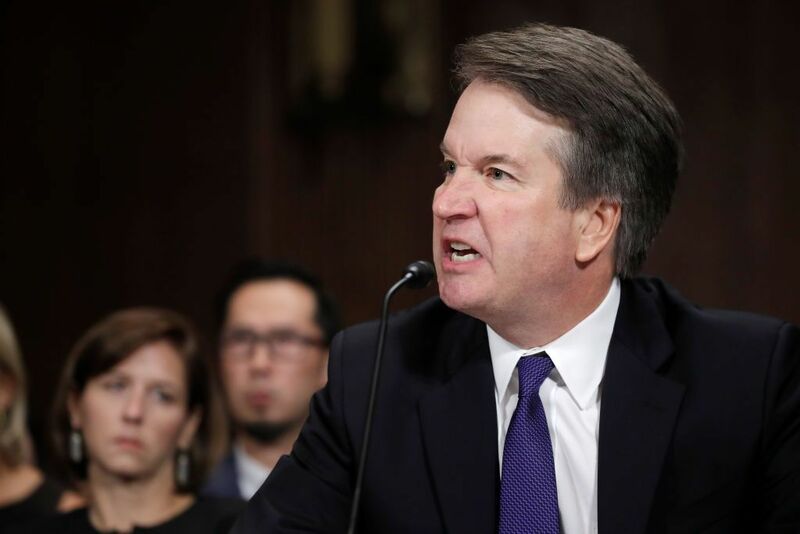 While judicial nominees almost always strive to appear above the political fray and not favor one party over another, Kavanaugh made clear he was furious — and he was furious at Democrats. But it was also more direct and more partisan than that. Kavanaugh wasn’t just decrying the process — which he called a “national disgrace.” He was pointing the finger directly at Democrats and saying they alone were responsible for it. This was a particularly bold move from Kavanaugh, given his biography. One of the potential knocks against him was that, before he was a judge, he was a Republican political operative — a high-ranking official in the George W. Bush White House, in fact. That always cut against the idea that he would be your average fair-minded judge, just reviewing the facts and applying the law. Everything Kavanaugh said Thursday will only confirm such doubts.